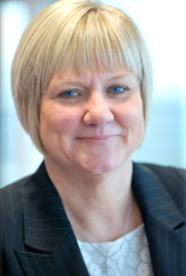 Karen has 40 years’ experience in procurement and supply chain roles initially in the public sector and the majority in the private sector with the last 20 years spent with Unipart Rail. She has been Managing Director, Supply Chain Solutions for two years where, she has full P&L responsibility for outsourced supply chain activities for rail and non-rail customers, including Freightliner, Anglian Water, Siemens and Thales. Karen has been completely responsible for the development of a new comprehensive services and solutions offering to Unipart’s customers. She has developed innovative solutions for her customers, launching and selling the award winning Smartserve proposition to Freightliner all over the world. In addition Karen is responsible for the Procurement function, employee engagement across the business and sits on the Leadership for the rail division and the Unipart Group. Karen is also Unipart Rail’s representative at Doncaster Chamber, ensuring we remain closely connected with our local area.